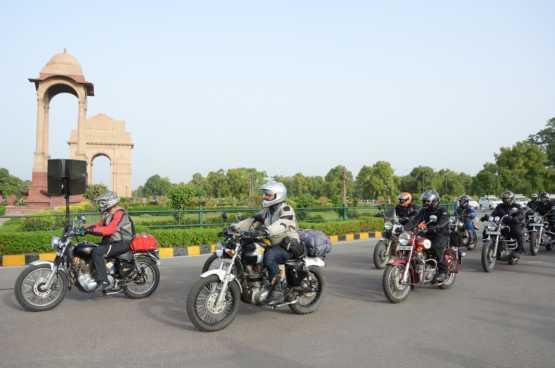 The 10th edition of the Royal Enfield Himalayan Odyssey was recently flagged off from India Gate at New Delhi. Considered as the holy grail of motorcycle rides in India, the Royal Enfield Himalayan Odyssey remains the most revered and cherished amongst all bikers. With 2013 marking a decade of Royal Enfield’s presence in the mighty mountains, a total of 100 riders from India and abroad will travel a distance of 2700kms to Khardung La, the world’s highest motorable pass at 18,365 ft. above sea level. This non-competitive, adventure motorcycling event will have riders in two different groups riding out of Delhi and converging at Leh. 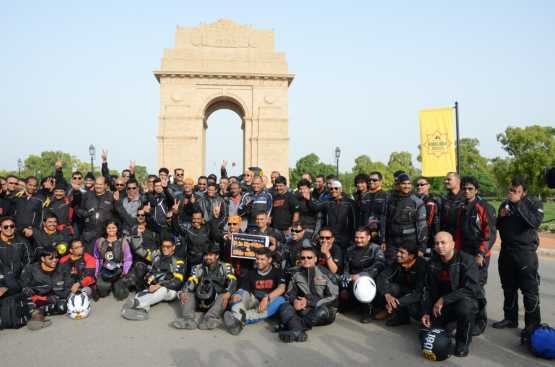 The contingent will then ride up to Khardung La, before returning back to Delhi on July 08, 2013. 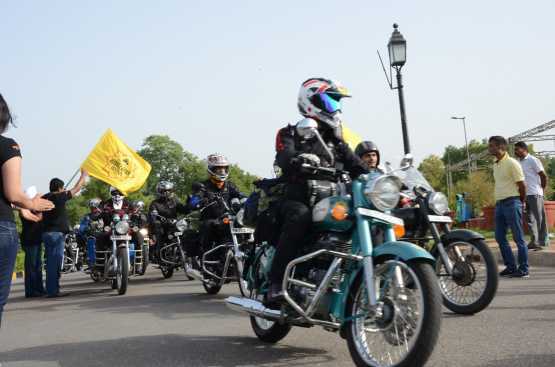 After the lamas chanted their prayers and bestowed their good wishes on the riders, a majestic procession of 100 thumping Royal Enfield motorcycles was flagged marking the commencement of the ride. After flagging off the ride, Shaji Koshy, Senior Vice-President Sales & Marketing Royal Enfield said, “The Royal Enfield Himalayan Odyssey is the ultimate motorcycling adventure that unites the rider with the bike and the terrain to create an experience of a lifetime. It is this love of pure unadulterated motorcycling that brings the riders together from all over the world and bond over their common passion of riding on a Royal Enfield to the Himalayas. In our 10 number of 100 riders riding together to Ladakh on their Royal Enfields. 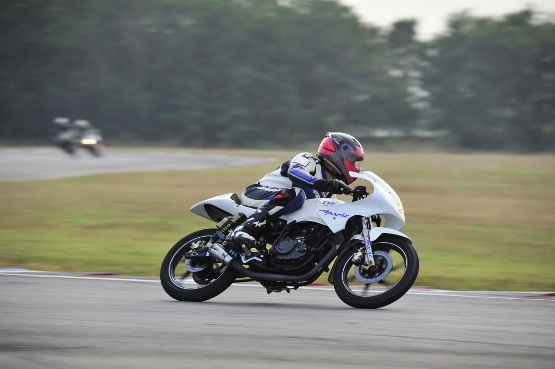 ” The thumping cavalcade of riders have gathered across India from major metropolitan cities and even from smaller cities like Bareily, Vizag and Kannur to celebrate this ultimate motorcycling ride. This extraordinaire expedition will give the riders a unique chance to test their mettle on one of the toughest riding terrains of the world. The rider’s will battle the treacherous terrains of Parwanoo, Narkhanda, Keylong, Sarchu via Kalpa and Kaza region. Kalpa and Kaza are known to be extremely difficult terrains for riding in the world and they bring the most seasoned of bikers to their knees. The two riding contingents are set to meet at Leh June. Whilst the first congregation will head out via Tsokar, the second unit leaves on July 02, for the sand dunes of Hunder. 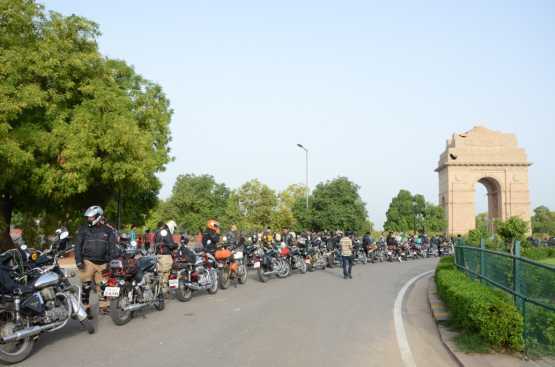 Thus the two groups will trace down each other’s respective routes to make it back to Delhi on 8 face to face with the most challenging riding terrains in the world to emerge victorious for the sheer love of motorcycling. 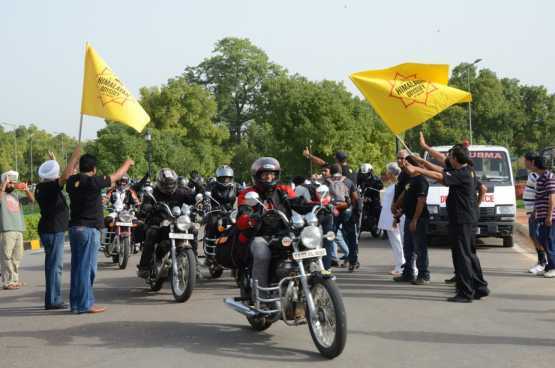 However, to make the 10th chapter of the Himalayan Odyssey ever more special and memorable, Royal Enfield has organised the first ever REUNION North at Leh on June 30, 2013. Shaji Koshy, Senior Vice-President Sales & Marketing Royal Enfield said “The Royal Enfield REUNION is an opportunity for the Royal Enfield owners to spend a fun-filled day riding out on their beloved motorcycles and spend a fun filled and an amply rejuvenating weekend, away from the usual humdrum of their city”. Royal Enfield REUNION North will have lot of events for the participants like ‘slow race’, ‘assembly wars’, ‘figure of 8’ and ‘carry your bike’. To celebrate 10 years of our unchallenged presence in the mountains, the Royal Enfield REUNION will have a celebration ride in Leh. This ride will have the entire contingent of the 10th Himalayan Odyssey and REUNION North participants riding around the city of Leh.